Home > Is Your Vehicle Safe? While it is important to take your vehicle to a mechanic on a semi-annual basis, you can monitor some of the most common issues by practicing regular check-ups yourself. So, is your vehicle safe to drive? Here are 6 steps to keep your family safe on the road. Have you noticed a sudden stain or puddle under your car? While various fluids are essential to keeping your vehicle in good shape, it can be difficult to detect when a part begins to leak fluid. Start placing cardboard under your vehicle to inspect each day. Make sure to take note of the location of any pots and examine the material. If you notice the stains are light brown to black, this means your vehicle is leaking oil. However, if you find a clear liquid, this may be due to condensation of the air conditioner. Damaged or worn out tyres can reduce the grip of your vehicle, increasing the risk of an accident. Be sure to check your tyres every month and before you take a long road trip. The best way to check is to follow the coin test. Place an Aussie 20c coin into the tyre tread. If the tread doesn’t reach the platypus, that means there is less than 3 mm of tread on the tyres and time for new rubber. One of the easiest steps to ensure vehicle safety is to check that all lights are working. This is essential as not only will this keep you safe on the road, it will also save you from a hefty fine. Don’t forget to check all the lights, such as the front and rear parking lights, headlights, brakes, turn indicators (blinkers), number plate lights, and reverse lights. While the Australian government regulates the manufacture, importation, and supply of road vehicles, it is vital for owners to look for any defect in auto performance, construction, material, or component of a motor vehicle. According to the official accident statistics, 8% of accidents are caused by technical defects. For example, braking defects do not become apparent until the driver places extreme pressure. Some defects might be hard to detect, however it is vital that the driver inspects the vehicle and have an emission inspection periodically. The red “check engine” light is one of the most commonly ignored warns in a vehicle. This is because many drivers don’t find any noticeable impact on how the car drives, leaving them to prolong a check-up. However, the severity may vary from trivial problems like a loose gas cap to severe issues like low oil level. One thing’s for sure, don’t ignore the check engine light without finding out what it is trying to tell you. To keep your car running smooth and efficient, your battery connection needs to be in great condition. Even a few specks of residue on the posts can prevent your car from starting, or even working at all. A simple visual check of the battery will tell you when you need to either replace your battery or clean the posts. If you've had the same battery for more than 2 years, be sure to check it every few months and see if it needs a simple cleaning. 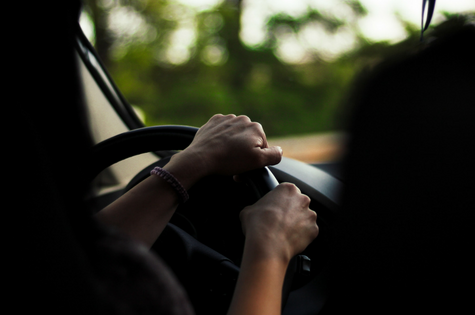 Before you drive your family around in your vehicle, be sure to consult a self-roadworthy test and stay aware of the latest regulations that are relevant to your region. These simple steps can help you avoid any accidents and damage that are preventable, prolong the life of your vehicle, and ultimately, keep your family safe on the road.